This single-coil left-handed pickup set from legendary manufacturer, Seymour Duncan, boasts great vintage tone and higher output than the SSL-1. 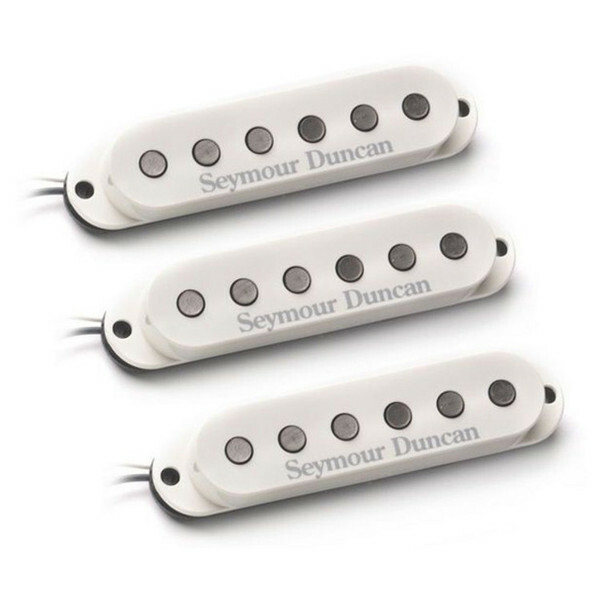 This Seymour Duncan SSL-5 Custom Staggered Strat Calibrated pickup set consists of high output true single-coils for warm instruments and is designed for left-handed guitars. They work perfect for genres as Texas blues rock, classic rock and heavy rock. These pickups come in white. Players of pickups in the Custom Staggered SSL-5 family include Nick Lashley (Alanis Morissette & Mick Jagger) Rickey Medlocke & Mike Estes (Lynyrd Skynyrd) and Yogi (Wallflowers). You can also get the SSL-5 pickups seperately on Gear4music, including the the RW/RP pickups, which are available for right and left-handed guitars, and the tapped version for right handed guitars.